Do you feel it may be shattered beyond repair? Do your arguments and disagreements seem to go on and on and on? And do you feel you are being treated unfairly, with disrespect, and even resentment? If the above rings true, don’t give up hope. There is time to fix it. 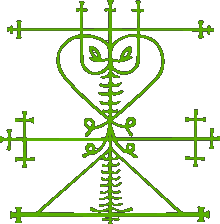 This is one of the the most powerful Kongo Voodoo relationship spells. This spell to fix a relationship is designed to specifically address a situation like yours. But one thing you should know. Kongo Voodoo is a powerhouse. It is not to be taken lightly. And once I summon the Kongo spirits and pass on your request for this spell to fix a relationship there is no turning back! You could be amazed at what I, Jahari, a Kongo Voodoo High Priest could do for you. My relationship spells are powerful and could change the path of your life.